Competition is the cuckoo in the franchising nest. One of the key drivers behind rail privatisation was the desire to encourage competition between rail companies. One minister in the Major government in the mid nineties, Roger (now Lord) Freeman, spoke airily of trains for secretaries rattling slowly behind the faster version occupied by their bosses. There would be red trains and green trains racing from London to Scotland, just like in the old days of the late 19th century when the old railway companies competed fiercely against each other in races that attracted national publicity. It never happened. I remember reporting on the quiet U turn undertaken by ministers when they realised that allowing a free for all on the railway was not feasible. It was not the shortage of train paths that was the main stumbling block but, rather, money. Given that the Government had just produced a new model for the railway based on franchising, the brighter ministers (Steve Norris was the only one who understood this right from the start) managed to explain to their less sharp colleagues that allowing unfettered competition along with franchising was simply not feasible. This was because any competitor entering a market against a franchisee would cherry pick the most lucrative trains and leave the dross to the incumbent. So bidders for franchises would ask for greater amounts of subsidy, therefore increasing the cost to the taxpayer of providing rail services. So instead we got ‘Moderation of Competition’ which, in effect, meant very little competition. So there is currently Hull Trains and Grand Central on the East Coast but nothing else as other efforts, such as the Wrexham & Shropshire on the Chiltern Line and Anglia’s Norwich – Basingstoke service failed precisely because they were not allowed to pick up passengers at key intermediate stations as this would be ‘abstractive’ of their rivals. In other words, most of their revenue would come from duplicating existing services rather than attracting new ones to the railway. The Office of Rail and Road is charged with deciding on which open access operators are granted the right to provide services and its threshold for allowing competition is that no more than 70 per cent of the expected revenue should be taken from existing passengers. This is stated in its recent determination of a series of applications to run open access services on the East Coast on which it has just adjudicated after years of consultation, hearings stacked with more QCs than you will find on an average day in the High Court and much hand wringing. The decision, too, follows on from the publication in March of a mega-report running to a massive 237 pages by the Competition and Markets Authority (the old Competition Commission) entitled, enticingly, ‘Competition in passenger rail services in Great Britain’. 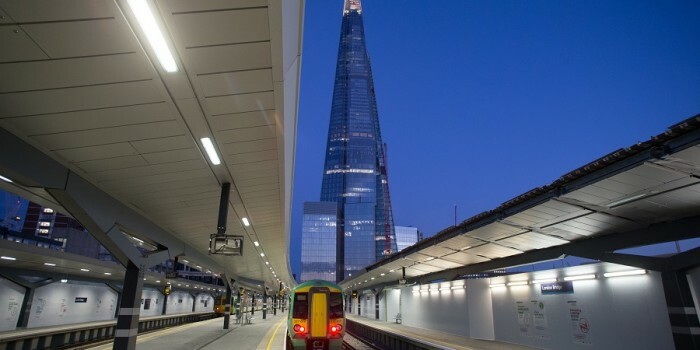 That report suggested that the limited amount of open access ‘appears to have generated some growth in the market for rail travel and delivered a number of wider economic benefits’. Now remember this is the Militant wing of the Neo Liberal Taliban and if that is the best they can come up with for the virtues of competition, then it is clear that they are pretty marginal. It points to a few benefits of the current operators such as free wifi, a wider range of tickets on board and new information systems, but this is really scratching at straws, especially as the open access operators benefit from having to pay lower access charges than their franchise competitors. Moreover, the CMA has exaggerated the very limited number of trains currently operating by suggesting it is ‘under 1 per cent’. In fact the 14 daily services run by Hull Trains and the 18 of Grand Central make up 0.14 per cent (and I kindly rounded up) of the 23,000 services operated daily on the network. In other words, rather than franchisees providing 99 per cent of services as the CMA quotes, they provide 99.86 per cent – that may seem pernickety on my part but it backs up the point that these services are marginal and utterly irrelevant to the vast majority of rail users. The scope for expansion is in truth limited though the CMA hopes that HS2 will open up new opportunities for open access operators but this is both a long way off and may not, indeed, open up as many new paths as hoped for, given the need to continue providing services to towns not served by HS2. The CMA acknowledges, too, that there is already competition in the form of the franchising bidding process and, of course, from the other forms of transport, especially the car. Nevertheless, it argues that on rail competition could have some downward pressure on fares and lead to improvements in quality. The ORR’s 17 page letter announcing its decision on the East Coast services is tortuous in its attempts to get round these basic contradictions. It rejected applications from GNER to run a fast hourly service between London and Edinburgh, and for services to Bradford and Cleethorpes, while approving extra services from Virgin and First Group between the two capital cities. This was largely on the basis that the rejected services were too ‘abstractive’ but here’s the rub. GNER wanted to see the economic model , provided by consultants CH2M (that silly name should rule them out of carrying out such work!) on which these decisions were made but the ORR refused this because ‘the model contained confidential, commercial information relating to various train operators’. So, would be applicants cannot base their requests on information about passenger numbers because it is deemed commercially confidential and can’t even see the model on which the ultimate decisions are made. Yet, the process of determining these decisions and keeping alive the holy grail of on rail competition costs tens of millions of pounds from the pockiets of both taxpayers and private companies. The secrecy eems to make the whole process a ridiculous and expensive farce, and crucially begs the question: ‘Is all this hassle worthwhile for the railway and its passengers’. Yes, Grand Central and Hull have provided services to a few marginal destinations such as Sunderland and Hull and that has undoubtedly been good for those towns and cities. However, there is a cost. The enormous bureaucracy that this desire for competition engenders adds considerable expense to the running of the railway. Secondly, on the East Coast at least, it has led to a sub-optimal timetable. If there were just one operator able to co-ordinate services and run the trains it thought necessary and commercially viable, then there would be a much more rational timetable. A Swiss type clockface system integrating all services is simply not possible if there is competition. Finally, there is a direct cost to the taxpayer. In his recent excellent article in our sister magazine, Rail Review Michael Holden who called this whole process ‘the dogfight for paths on the East Coast Main Line [which] has been a recurring soap opera for 15 years, reckons that open access on the East Coast was costing ‘in the region of £30m per year’ in reduced premium payments to government. Moreover, he suggested, the uncertainty caused by the open access process is a barrier to future investment since government ‘has no guarantee that the benefits of additional capacity and capability it is buying will be captured by the franchisee’ and therefore, at least in part, recovered by the taxpayer. To finish off this heavy piece, here is a bit of fun illustrating just what insights these overpaid consultants who carry out this work provide us. On page 104 of the CMA report, they tell us that ‘Low-cost airlines can sustain cheaper fares as their costs are lower than those of traditional airlines’. Gosh who would have guessed it. Do not be bamboozled by all these clever idiots creating work for themselves. Open access is really just a gravy train for them. And by the way, if the ORR and the SMA were really that interested in on rail competition, how come they allowed Virgin to get both franchises running services between London and Scotland? As part of the tour of rail groups Nigel Harris and I are undertaking to celebrate 21 years of working for Rail, I went to Exeter last week to speak to the Avocet Line Rail Users Group. Mike Reddaway, the chairman, took the opportunity to show me the line which I had never been on but expected to be similar to the Cornish branch lines as a link between the main line and a resort. I could not have been more wrong. The Avocet Line is very different, carrying a remarkable 1.7m people every year (or 4,700 per day) – and probably considerably more as ticketless travel between the 10 stations on the 11m line is rife since there are no vending machines on several platforms. It is, therefore, more akin to a suburban rail service running down along the Exe from Exeter to Exmouth and growth has been faster than the average across the network thanks to the boom in Exeter’s economy, considerable housing development and the efforts of the Users Group which last year produced a manifesto on improvements it wanted to see. One of these, a half hourly service on Sundays – bringing it into line with the rest of the week – has just been implemented by Great Western which, to its credit, has taken a great interest in boosting usage of the line (after , in it earlier franchise, rather neglecting its regional and local services in favour of its main line operations. I travelled twice up and down the line and every train was well used, showing the potential of such lines to serve local people and provide an alternative to the car in a very crowded small city. The Exeter – Exmouth line (the name Avocet was introduced by Wessex Trains) was earmarked by Beeching for closure but somehow escaped he axe. Many other similar suburban services in towns across the country were not so lucky, and the success of the Avocet shows just how useful many of these would be today. Moreover, its well patronised trains should give encouragement to rail campaigners in places such as Bristol and Nottingham where existing services could be improved and old ones reinstated on lines kept open for freight.